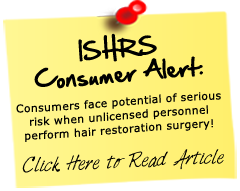 http://hairrestore.com/ Dr. Sharon Keene was faculty for the European Society of Hair Restoration Surgeons. In 2003 Dr. Keene also served as faculty at the European Society of Hair Restoration Surgeons conference in Berlin, Germany, and was awarded a certificate for serving as a member of the world renowned faculty. Dr. Keene will evaluate your individual Hair Restoration needs. Call for a free consultation today. See the website http://hairrestore.com/ for Hair Restoration Surgical Clinic in Tucson or a Hair Restoration Surgery Physician in Scottsdale Arizona for an appointment with Dr. Keene.